This page contains a single entry from the blog posted on September 2, 2008 10:19 PM. Ainslie Street Station of the Municipal Electric Light Company (ca. 1889). For the past few months, WPA (and everyone else) has been focused on Con Ed's demolition of the former Brooklyn Rapid Transit power station at Kent and Division. Just in the past few weeks we have learned that Con Ed's definition of sustainability includes green roofs, but does not include recycling buildings. We also learned that Con Ed does not want to be forthcoming with the details on its environmental remediation. 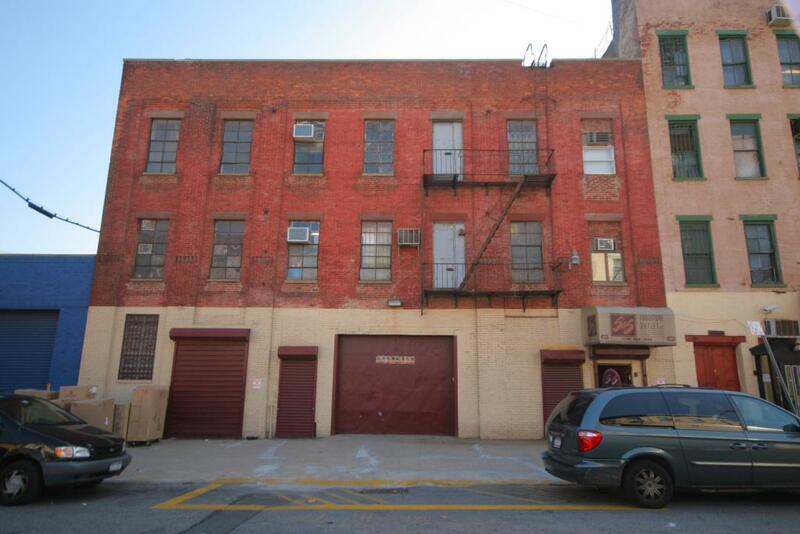 It turns out that the old BRT plant is not the only legacy power plant in Williamsburg that Con Ed owns. Far less grand - but potentially of even greater historic significance - is the the former Ainslie Street Station of the Municipal Electric Light Company of Brooklyn. This building - now scaffolded and possibly being prepped for demolition (though the only permit on BIS is for pointing and masonry repairs) - sits astride the BQE at the corner of Rodney and Ainslie. Municipal Electric was formed in 1884 to electrify Williamsburg and provide street lighting. The company constructed three power plants in the area - Ainslie Street, 308 Penn Street (right) and South 5th Street near Bedford. The Bedford plant was demolished at the turn of the 20th century as part of the construction of the Williamsburg Bridge. The Penn Street building and the Ainslie building both survive. What sets Ainslie Street apart, though, is the fact that was designed as a power station, not like the typical commercial building of the day (as Penn Street was). Based on preliminary research, the Ainslie Street station was constructed in 1889. It is certainly one of the oldest, if not the oldest, purpose built electrical generating station in Brooklyn (and the city overall). 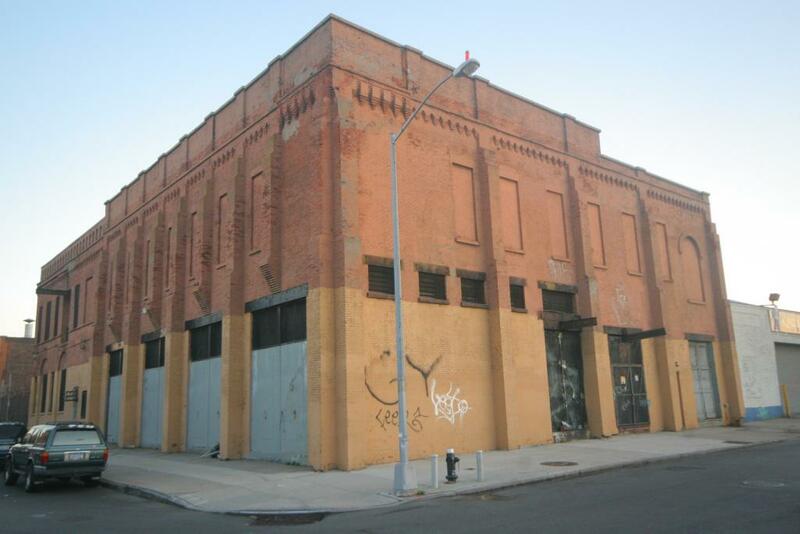 WPA has requested that the Landmarks Preservation Commission review this building for designation as an individual New York City landmark. Earlier this year, LPC refused to consider the BRT plant for designation; we can only hope that Ainslie Street is different.